Do you often hear the word 'bored' from your children? Well, I guess DIY projects are your best bet in this case. Thanks to them I was able to keep my two beautiful nieces Jana and Nour busy at times when I ran out of ideas during the summer holidays. 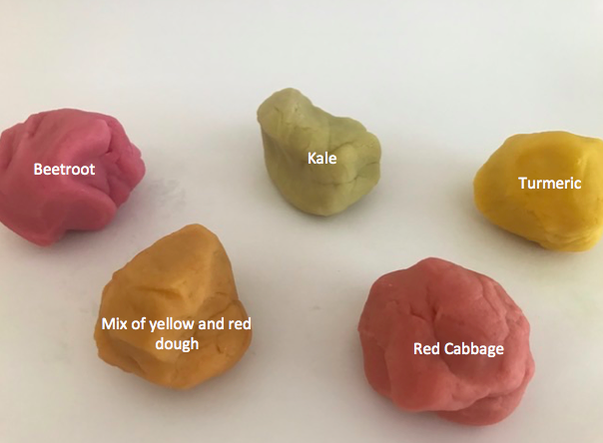 And, not only are they an excellent way to connect with children and make everlasting memories that are full of fun with them, but they also enhance their creative skills and can become a great way to increase their awareness of natural food and ingredients. My biggest concern when it comes to toys is that children come into direct contact with them for extended periods of time; and their toxic ingredients can easily get absorbed through children's skin. Moreover, those little ones who are keen to explore all things around them may sometimes want to experiment the taste of their toys. To me, this makes 'safe and non-toxic' an indispensable quality. Unfortunately almost all store-bought commercial modeling clay is made of synthetic polymers that contain phthalate plasticizers. 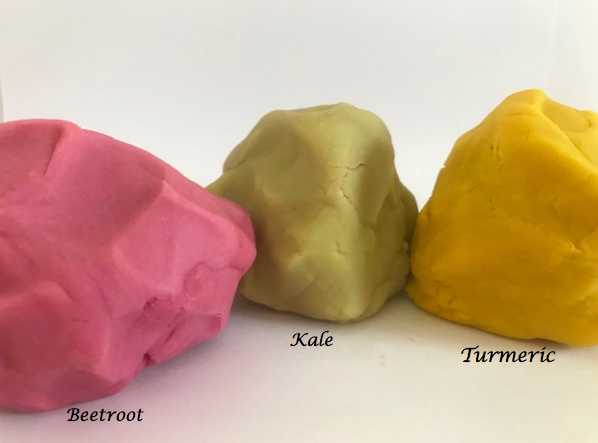 Phthalates, which are used to give modeling clay its elasticity, are known to cause nerve system damage, gene mutations, liver and kidney problems, and more. 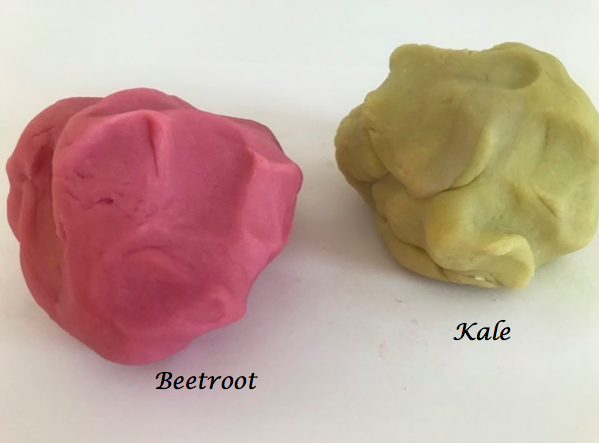 Luckily, clay dough is very easy to make at home without all the nasties and at a fraction of the price; and more importantly your children are going to have much fun. Isn't that wonderful?
. Place coloring water in a saucepan* then add the salt and stir until it dissolves.
. Add the coconut oil and tartar cream and heat until the mixture becomes warm.
. Remove from heat, add the flour and stir then knead the dough until smooth. 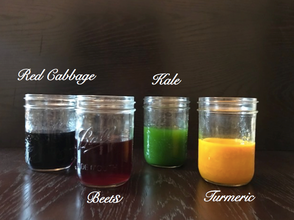 * Add plain water and food coloring together if not using homemade coloring water.